Prezly is a tool for communication teams who want to do more. Manage your contacts, publish your stories, build beautiful newsrooms, and send email campaigns all from one place. "Prezly An ideal communication tool." Prezly is an ideal support and communication tool, our clients, not only, can communicate with us, to ask for help, they can give their opinions, about the support that is provided, in this way, you can see in which points they are can improve, at the time of providing better customer service, also its modern design, is great, both for the one that requires the service and for the one that is providing it, since it is very intuitive, colorful and friendly with both parties. You can improve the compatibility with some types of files that are sometimes necessary, and not always all formats are supported, to send by chatting. It has very few negative points, but with different market studies, you can find out what are its shortcomings, although small, you can always improve, to be at the forefront, and not fall into conformism. make a support and provide a better service to everyone in the shortest possible time, having all the necessary information available in the moments that are needed, the history is always there, to use it at the most indicated time, this is like a base of data, which helps you have everything at hand, and not fall, on unnecessary questions. "Good expedrience with Prezly "
I like the emailing campaigns and how easy it is to put these together and send them. The reports that come through immediately after sending helps to smonitor how many ahve been delivered. The fact that Ican also track who has opened and how many times helps me follow up and even convince the person further to use the content. I also like the rate at which prezly administrators respond to our concerns as customers, well done because they are super responsive and very helpful. It does not automatically update media contacts on the media database and does not have a facility for media monitoring. For thsi reason we have to put in extra administrative work to ensure that our contacts are updated. It would be nice to have everything in one place i.e. media monitoring, media database and press release aggregator. Prezly is a good tool for maintaining the media database as well as relaying press releases in a very easy and simple way. Sending the content to nearly 5,000 contacts all at the same time has been really great as this saves us time and money. Being able to personalise all emails is quite great as each and every conatct will be addressed with their name. Our contacts feel valued and important and are quite responsive as a result. Thank you Prezly for this. What Press Release Distribution solution do you use? "Great support for a useful communication tool"
The platform is very easy to navigate and the design is intuitive. Ability to segment our customers (contacts) and send targeted emails is another great feature of the platform. But I think for me one of the best things is the customer support and implementation of new features. I always can rely on a quick reply from Prezly support team, sent directly form the platform. I also appreciate the opportunity to be able to add future improvements or features in the list for Prezly's consideration and potential implementation. I'd like to have more functionality in terms of the story's design (fonts, formatting, alignment of text and images). Also, it would be great if we could add several stories into one campaign. It would be great to have a calendar view of the scheduled stories / campaigns to see the planned communication for a month, for example, in one place, and, change it, if needed, according to the company's goals. I would recommend anyone considering using Prezly evaluate their internal communication strategy first, and understand what they would need form a communication tool and how they could use it. It helps to understand how Prezly can benefit the company's goals, and how it can fit its marketing / communication strategy. We are using it as a marketing tool to promote certain material to each individual group of our clients. Our company's website on Prezly serves as a newsroom for our clients, while Prezly campaigns act as a personalised newsletter, targeting specific groups of our clients. "Prezly is essential for PR pros"
I use Prezly to build media kits containing all the assets needed to distribute a press release to media contacts. I also use it in other creative ways: private backgrounding pages, judging guides for awards programs, working pages to share with my team. The grouping system (segments) and tagging is not intuitive. I've had many missteps in trying to get content to particular segments while deselecting individuals. You cannot add another group of people to a distribution without going back and recreating the same distribution. you can add individuals but not groups. Prezly is perfect for building media kits and making assets available to anyone, not just the media. Distribute press releases or press pages to the contacts I have uploaded and manage in Prezly. "Great platform for PR trainees and seasoned professionals alike"
Prezly is a fabulous piece of unit that takes out every one of the agonies of dealing with a conventional PR activity. Managing hello res pictures, joins, recordings, resources and duplicate has never been so natural, both for the PR group and the influencers on the less than desirable end of the discharge. The CRM usefulness likewise implies that monitoring connections is quick and successful. There's very little I dislike. Prezly is still feels like a start up so might not have all the usefulness of other PR frameworks like Cision or Bullhorn but at the same time it's 1/tenth of the expense. That as well as the Prezly group are open to input and we've had incredible reactions to our advancement proposals. The capacity to plan the messages that are conveyed as stories. Contingent upon the discharge once in a while it's progressively essential to feature distinctive resources inside the Story. Contact the board (labels, for instance) could be quicker in a couple of ways. So far I've just experienced genuine downtime once, how about we trust it remains as such. For me, Prezly is the perfect public relations tool that helps me escape media list Excel hell. I could enrich my contacts and communicate with them on a more efficient way. My partners and I began working with Prezly a year back and we are exceptionally satisfied with it. Prezly is exceptionally simple to utilize and empowers us to make alluring official statements in a matter of moments. Indeed, even partners who are not very well informed immediately figured out how to utilize it and truly appreciate working with it. We particularly like the perfect and simple joining of visuals and video. As a major media organization visuals are a noteworthy advantage for our correspondence. Another essential resource is the likelihood to see the mailing reports: who opened our official statements? Who tapped on the discharges? We can in a split second perceive how effective or intriguing a pitch is. "Easy & Effective Communication Tool"
I love that Prezly allows us to ditch our Excel spreadsheets. Organizing our contacts is easy to track and store without a messy spreadsheet. Our clients love that they are able to contact us and provide feedback or get general help. The designs are modern and attractive. I would like to have more of a free reign over fonts & format of their email selections. While some flexibility is provided, there is great room for expansion and further personalization. Before using Prezly, look into your company's strategy to ensure Prezly will complete the functions you are searching for. 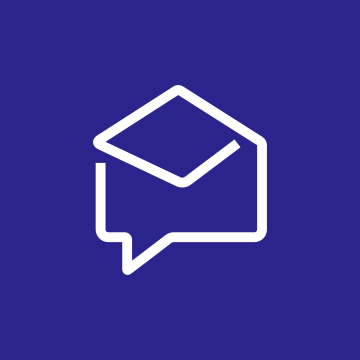 We use Prezly to manage all of our contacts, send and track emails, and share stories and news. Tracking our engagement lets us know how successful our emails are and who exactly we are reaching & how. We are able to seamlessly email over 2,000 clients and customers. "A great way to organize your press releases and direct press to for older news"
After using prezly for more than 7 months I have come to appreciate the interphase and how simple it is to write a press release and organize images, videos or galleries and media contacts have mentioned how easy it is for them to find what they need to write their publications and source images or links for them. Sometimes the search system is not the best or gives an error. If you generate visual content for your press releases this is one of the best solutions as images and videos are easily displayed. It's a really good organizer for publications and becomes a source for journalists. "Great presentation for press room"
We like the 'translate' feature that allows media to toggle easily between the French and English versions of the release, as well as the easy-to-add contacts for each individual press release. I wish there were a way to include videos that did not require the videos to be on youtube or vimeo - if there a way of natively uploading or attaching them as there is with photos. Also, a few times Prezly has been down when we had something time-sensitive to send. Easy-to-use, looks polished and consistent, and great for companies needing to publish releases in multiple languages. We're presenting a polished, professional newsroom for our media contacts, and maintaining a consistent brand and format. We've been able to keep track of who is receiving our releases, and been able to share photo assets, documents and links much more easily. "I'm a one-man PR department for a large food cooperative ($72 million)"
Prezly does what is promises. Our releases are easy to create, modify from multiple platforms (mostly), and I'm able to quickly dash-out a press release in minutes. Well worth the price and our news page looks as good as most any I've seen -- even compared to the "big boys." There are a few quirks that I've yet to grumble about to Prezly (they are very, very responsive). Those that come to mind are duplicating a release to created a slightly different version. The new release seems to retain link naming. For instance, I created a draft with a title that included the name of an elected representative. I duplicated to highlight another Rep. I wanted to clearly see difference in titles (behind the scenes) to avoid a mistake in delivery/audience. When I was sending the duplicated/modified version (link) from my desktop email, I noticed the previous version-title included the name of the first congressional Rep. I caught it, but don't know how to change it in the system. (I'm sure time with a Prezly Rep could straighten this out -- they are really great!). I did a work-around with a bit.ly url. I share all this NOT as a complaint, but rather a means of a tip for future users. I have no qualms recommending Prezly. It is great. Not perfect, but damn close for this time-stressed user. This is a solid company with people who understand the concept of service after the sale. Within my comments I mentioned that I struggle with a few quirks. I am certain -- based on my experience with the team at Prezly -- that if I took the time to discuss these minor issues with them, the solution would be delivered in days, not weeks. Doing everything better in less time. "The perfect tool to keep up with your PR"
The interface is really user-friendly. You can navigate through different windows, from one contact to another in a very seamless manner. Emailing from Prezly is still pretty basic. I like to add pics in the body of my email, here I can't do it. All my PR contacts are in the same place, isolated from the Sales & Marketing CRM. I have an overview of the previous and on-going conversation with my contacts. The tags and filtering options allow me to segment my mailings. Being able to store all my pictures for journalists in Prezly, and being able to share them all at once just with a link, is a great feature. "Connect - Engage - Measure"
Reputation risk management is a Board's #1 challenge. There has never been a more important time to centralise all of your stakeholders in one place and to execute your stakeholder outreach in a consistent and coordinated way in country, while recording and analysing the historical track record of that relationship. Manual upload of my contacts. I want real time updates from third party influencer providers. Building trust for proactive reputatoin risk management relies on coordinated, consistent and intelligent stakeholder engagement. Prezly delivers our Board of Directors oversight. It allows us to consistently connect, engage and measure the performance and effectiveness of our stakeholder engagement programs. Crisis scenarios are pre-uploaded, relevant spokespeople delegated, and then practised across the global organisation. Improvements in advocacy are tracked proactively on a rolling basis. Reputation benchmarks are analysed consistently to enable us to identify and execute the key levers for trust. Prezly allows us to share our news in a visually compelling format, while minimizing the amount of time required to send our news to key stakeholders. The new story creator doesn't allow us to embed the release directly in our existing company site using HTML. It would be beneficial for us to be able to share the visual benefits of Prezly within our broader company site. Prezly has cut down on the time we spend creating press releases, increased the visual appeal of our releases, and allowed us to track engagement with key stakeholders. I love that it enables me to make the best business decisions. It creates an easy outlet for tracking engagement. The website is very sleek and appealing. But a key thing is that it works on mobile. We work with social media so phones are a priority so I appreciate that it is mobile friendly. It allows for quick tracking and provides a space for me to increase my work flow. I really struggled to track accounts on social media and to grow accounts from nothing but Prezly makes it drastically more efficient and now I can accomplish goals that weren’t plausible prior. It saves time so then other things that have been put on the back burner are now being worked on. "Improving media reach, step by step"
The tool is easy to use, with good background and documentation files, plus easy share with colleagues in an international context. People working in the business are at the start and growth of this platform, and you can feel it. Instead of sending out releases it allows you to start real Media Relations, and imporive your contact management. Not that much to dislike, however I would like to have some things added, like workflow of drafts of releases with colleagues, and some more ease of use of database possibilities. Thanks so much for your feedback, Luc. We're continually working to improve the product, and your input is invaluable in that process. "Clear, beautiful newsrooms help me connect with journalists"
The most effective way to present lots of information and assets to time-starved journalists. They can quickly see everything at a glance, the design makes everything look beautiful and crystal clear and of course you have the data side – which is invaluable. I’d like more newsrooms! At the moment I have to overwrite existing ones. It is the best of its kind on the market. For me, it adds value to my campaigns (see above) but it also helps me present a more professional service to my clients. Everything looks slick and polished. Much nicer than ugly word documents and cut and pasted emails. I like the fact you make changes to the newsroom, even after it has been sent out - in case of any woops! moments. Benefits wise, it has helped me secured lots of great coverage! All my clients have been delighted, as have I. "An excellent tool for builiding a great communication network." It is great platform that helps synchronizing your contacts. Now by this you can publish your stories and your contacts can see and read them easily. You can also start campaigns and your send emails all over the place by the help of this software. It is easy to use so have not found any issue with it yet. It is excellent for maintaining media database and also with the good press release. You can communicate with your contacts very easily by the help of this amazing software that can assist you in being responsive and also quick. Thus giving your customers a good impression. Prezly was great for controlling all our media, PR and news relations. It is simple to use and effective. It is a one stop shop for everything media. It can be confusing to use, if they were able to make it more intuitive that would be very beneficial. I think as time goes on they will improve. I would recommend Prezly for anything media and PR related. Prezly has drastically helped our PR and outreach campaigns, we now can use media to better target our audience. The Press release distribution has saved us lots of time and money. I love using Prezly, for the most part, it's extremely efficient and easy to use. There is a new room that allows you to stay up to date and great email features all in one place. Communication is so important in today's day and age and Prezly promotes good communication tools! Definitely, use Prezly if you are looking for a good communication tool for a company. I do think larger companies can benefit from this more, but that's not to say smaller companies cannot use it. It helps communication and also to broadcast news and information to our company employees and others in extremely efficient and pleasing ways. Prezly is the best software/SAAS purchase I have made in two years. It solved many of my problems with direct mail, managed contacts, and building press releases and media alerts. Managing contacts is a little cumbersome because of the in and out and back and forth but I think it is improving as the platform develops. Direct email is now compliant because I have an opt-out. Faster posting releases with dynamic content. Mobil responsive pages...a million more things. "Awesomeness in effectiveness and user friendliness "
Prezly allows us to communicate in a transversal way on our corporate strategy and brand activities by melting content into stories. We are now able to measure effectiveness of our efforts and better integrate these learnings for future purposes. Moreover, Prezly allows us to better categorize our contacts and keeping our database up to date. Working with Prezly asks for a different approach. You need to think as a redaction, that's how powerful the tool is. It means that, as an organization, you should not only foresee in a budget for the Prezly plan but also for the additional support functions; investments in better and adapted photo material, video creation, a follow-up guidance on social media etc. Of course, it all evolves from a successful result by using the tool... so you should not dislike it... rather embrace it to optimize your outreach efforts. We are working web based, so we have now multi access to our PR platform. We are integrating Public Affairs, Digital Marketing, Internal Communication and Public Relations outreach efforts in 1 and the same tool. It allows us to reuse content towards several audiences. This leads to a more coherent way of communicating as a company or a brand. Also, from a personnel perspective, the legacy is always there... no loss of information of contacts when people change functions or leave the company. Thank you so much for your feedback. We're stoked to see how Prezly has improved your communication workflow. Really happy!! "Love it from the start"
Not only the press office looks nice, but also email campaign stats look nice! Would be great to have possibility to create email campaign without having a story published. Can't wait to have it. We are a global tech company, so our brands needed a nice, modern press office. The other thing was managing a huge contact list, as we cover with our press releases many different topics for various markets. It works, it's intuitive and effective. "I love using Prezly for media relations." The ease of sending everything in one link & how nice it looks! Media relations made easier with the ability to send one link with high res photos, etc. Media are quicker to respond when everything's readily available. "Contact Management for PR professionals"
Prezly is software specifically made for PR professionals with amazing newsrooms, easy email features tools and simple contact management. We used this software to improve communucation between lawyers on cases where there was multiple lawyers working together as well as to improve communication from lawyer to staff and staff to client. Prezly is not easy to use and required a bit of training to get all staff/users on board. It also is not built to accommodate lawyers and their support staff. but more so direct from producer to requester or client. try it out! It was a great tool that allowed us to grow in the number of communications we had with client and keep better track of all communications to and from clients. simple email features and tools and easy contact management. We also used it as a interim communication tool that allowed us to be professional and provide robust updates about cases. Thank you for your feedback. We're stoked to know that Prezly improved your communication workflow. It is expensive. Maybe it would be even better to have some more options to personalize your page. I enjoy the fact that I can add all or most of our digital assets to the Story as I create it and that I can continually update it as our productions run. "Prezly is a great tool for PR folks!" It makes compiling contacts and distributing to them simple, organized and easy. It could use a better on the go product. I've found it's really only useful when on desktop. They have a great support staff and are willing to help out getting setup. It allows our company to easily compile contacts and tag them with appropriate labels for email distribution. "Fun way to make a presentationps"
I love how creative the whole software it! To have so many visual movements for a presentation is great because it keeps those listening interested. I also personally like it because I'm a creative person. I don't dislike anything about this software. I love everything about it. I am able to get my point across more with this visual effects of my presentations. "Good way to store and share information with others"
I really like how easy it is to get a lot of information out to people in such a simple way. One of my favorite features that this program has to offer is being able to to track the engagement of your posts. There is nothing that I can think of that I dislike. Once you get the hang of the program, it is very simple to use. As I mentioned, it's really easy to get information out without having to send individual messages out to everyone. You can also send out emails to many people at once to get news across. "A great user-friendly tool to improve the PR of your business "
Prezly is very easy to navigate and accessible to individuals with any type of background and does not require any prior media outreach experience for effective use. It is a great way to channel and distribute information to and from multiple stakeholders in the business. The process of uploading contacts is a bit outdated, as well as the features that you can add when sending emails which are currently limited to a very basic set of options. Prezly greatly improved our ability to effectively exchange information and integrate press releases across different sectors, as well as to improve the quality of the customer database. The content centre and the look of it. The seamless integration into your website. The delivery of the e-mails through Prezly. Many going to junk. Better e-mail integration. The ability to follow-up on an e-mail without creating a new story. The ability to create a narrative for a brand with high rez content in one area. "Really easy and logical "
I love how simple it is to use, everyone on the team had zero difficulties learning how to navigate it, sharing our stories and connecting with influencers had never been easier. I also really like how i can access history of the interactions. THE best solution to manage PR contacts and help develop relationships. "Presley A Great Online Tool"
Prezly allows us to communicate and to create beautiful presentations by melting content into stories. We are now able to measure effectiveness of our efforts and better integrate these learnings for future purposes. Moreover, Prezly allows other companies to view our content. I liked everything. It has the right tools to maximize your online presence. I recommend Prezly to journalist, writers, social media professionals to build their online presence. In creating stories, Prezly allows you to keep track of infographics, videos and clips of newsfeed to create a great social media press. "Prezly is a must have for PR solutions"
Prezly combines PR with all of your contacts to get your news out quicker. There isn't anything we didn't like about this product. We needed an all-in-one solution to post our press releases to the right news departments as fast as possible. "Sub par distribution platform "
Implementation was quick and easy. It did not take long to set up an account and get running with Prezly. There were lots of options for distribution. I felt Prezly was a bit pricey to distribute our press releases. I didn't find that the CRM to track influencers was that beneficial either for the kind of data we were looking for. We wanted a more effective way of pushing out press releases to our intended audience. While Prezly did that, I wasn't super thrilled with the price for the results we saw. The program was not as expensive for other important products. It is super easy to learn and to teach others to use. I loved program and had no negative experiences using it. "Worked with Presley for a year "
The ability to work with images and links. It can help show who is interested and who is not as well! It was frustrating to add contacts to Prezly but we made it work and it has been fine since! I love how it makes so many aspects of communication that I do an a daily basis so streamlined and simplified. There's nothing I particularly dislike about the software, and my peers can say the same! Definitely look into it! Even if your first step if just scheduling a demo, it is worth seeing what they have to offer as a software! Prezly has given myself and my peers the ability to communicate efficiently all while creating incredible content. I love how it manages my contacts and publish things easily. It has technological problems at times but overall its fine. I realized that it really creates efficiency among teams. I like that this platform incorporates press release distribution with CRM features. This lets us see who is reading and engaging with our content. A bit pricey when you can track with some CRM systems already. We wanted a press release distribution system. But since we already had HubSpot, then we didn't need the added CRM features, etc. So with the price it didn't make since to use it when we only really needed it for content distribution. I have not had a problem with this system as of right now. It does exactly what I need to send press releases. Contact management could be faster. There’s not much I dislike. It is easy to use and saves a lot of time. "Very easy to operate "
Trying to contact a large number of people and be able to track the numbers. Very helpful PR tool. Great for communicating with all media contacts. Not being able to upload birthdays and special occasions for media contacts. All communication with editors are done with Prezly, we dont have to design mailings anymore. I really love social media type Newsroom. Not much to dislike...maybe more on newsroom. Visually clear and easy to understand. Also it is compatible with international agencies and colleagues. This does what I need when it comes to press releases, there are so many great features and great support. Feedback on releases is always great too. The only thing I don't like is that sometimes it takes long to load certain things. The option for built in alerts for influencers and anyone you want to target. I haven’t encountered a dislike just yet, but like any software, you figure out what works best and what doesn’t as you go. Organization has been the biggest benefit. This software makes it easy to build up a new bead and keep everything organized, even with several people working on it. * We monitor all Prezly reviews to prevent fraudulent reviews and keep review quality high. We do not post reviews by company employees or direct competitors. Validated reviews require the user to submit a screenshot of the product containing their user ID, in order to verify a user is an actual user of the product. Hi there! Are you looking to implement a solution like Prezly?